BYO or Bind-Your-Own plus JAWS etc. 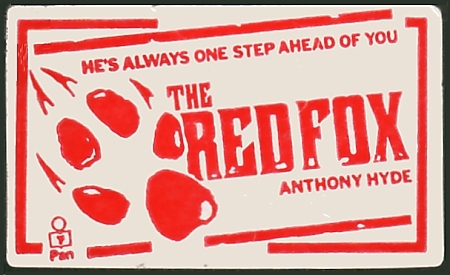 I recently rediscovered a packet of bookmarks including those for ‘Bind-Your-Own books’ or how to turn a paperback into an awful hardback, a precursor vaguely reminiscent of those ‘library cases’ for VHS cassette tapes! I found I’d actually got two, one for PAN and one for Fontana. 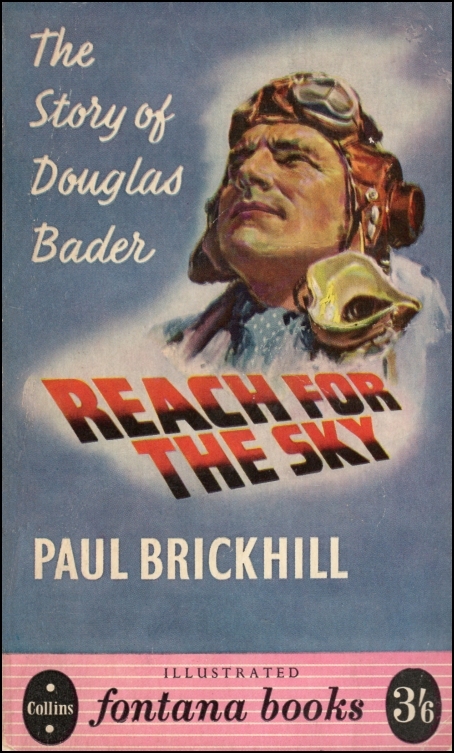 Unfortunately the PAN one was plain on the back but the Fontana advertised the book ‘Reach for the Sky’ from 1957. I have several unopened packs plus one half used and an advertising flier for Fontana and not PAN. I also found a few American packs online at more than I want to pay but interestingly although they have a US address they were actually made in England. Click HERE to see the page. 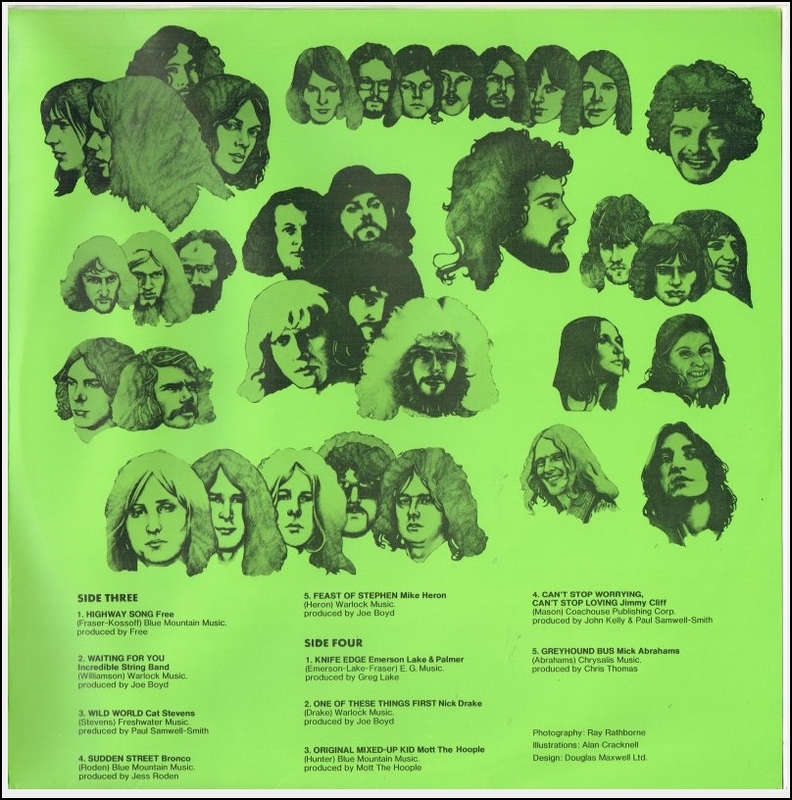 I was also contacted by a graphic artist trying to speak to Alan Cracknell to ask if it was possible for him to use some of the artwork Alan painted for the album “El Pea” featuring amongst others Jethro Tull. Alan was happy to speak to him and I await the outcome. No work on the ‘library’ last week as we went away in the camper for a few days to a town where there was supposed to be two bookshops but sadly no more! 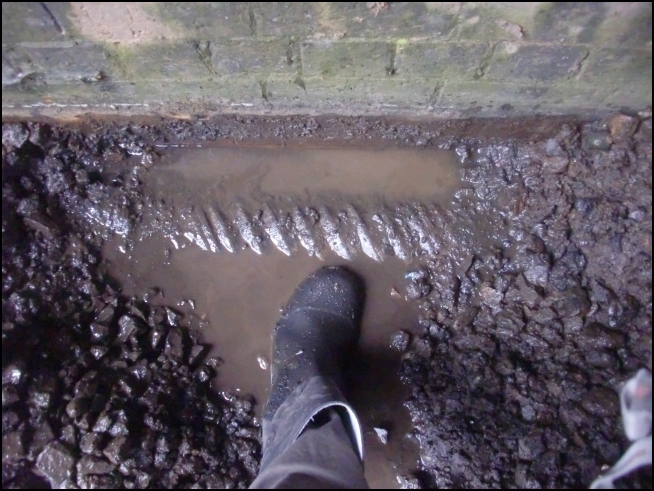 It got really wild, wet and windy in the night – and the weather was awful as well! We also had a funeral in North Yorkshire and extended it into a couple of days. Fingers crossed as there is a very empty calendar this week I hope to crack on apace! 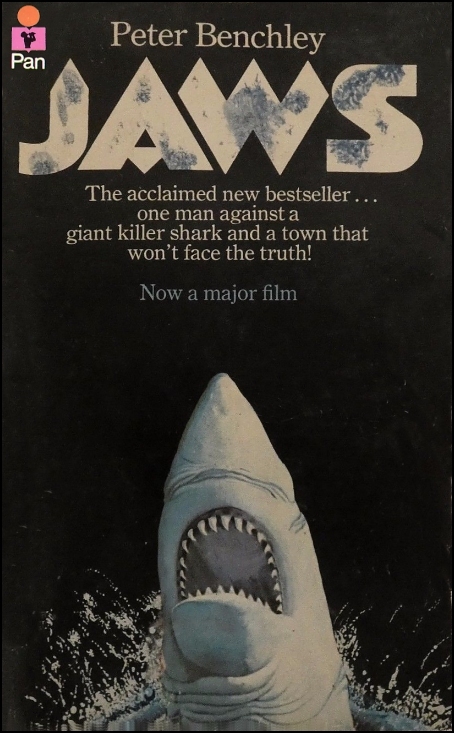 Jackie Collins and a JAWS mystery cover. 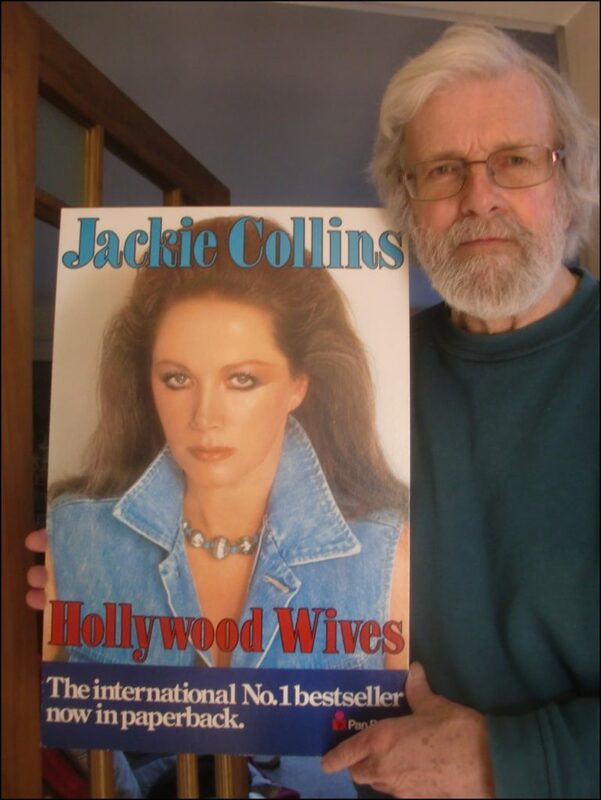 While trying to contact Adrian Chesterman about the covers he painted for Jackie Collins titles in the 80’s I came across someone selling this standee for “Hollywood Wives” I couldn’t resist it but not sure where it’s going to go. 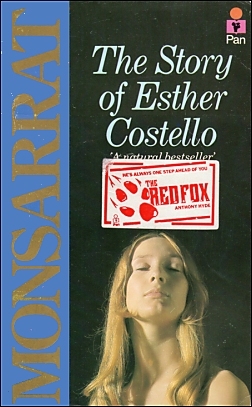 It has made me try to sort out the other Colliin’s covers I have from this period and I’ll add a page next week. While looking on eBay as I usually end up doing I saw a cover listed as ‘rare, not see another on net’ etc. and they wanted £35. This of course made me try and find out if this was right and so far I have to agree. The seller lives in Greece and I was wondering if it was an international edition although the scans of the first few pages don’t indicate as such. 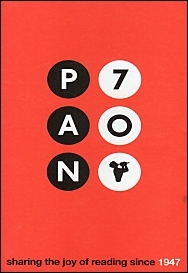 I’ve email Ken, who was studio manger at PAN at that time and was involved with ‘JAWS’ and as I’ve mentioned before is miffed as he designed the icon text but got no credit. Finally I’ve Heard from Gordon Young to tell me he is now working on the next instalment of his memoires so watch this space. 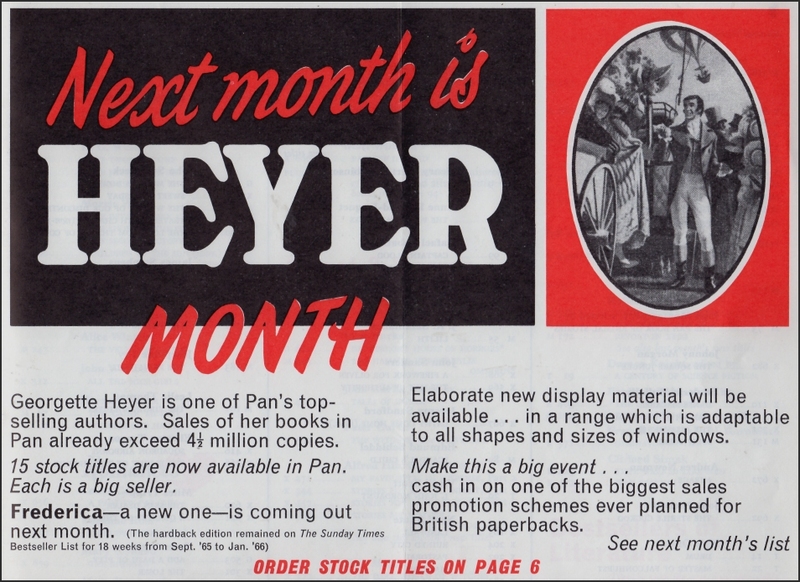 Still looking through the catalogues I mentioned last week and three of them have full pages for Georgette Heyer titles. 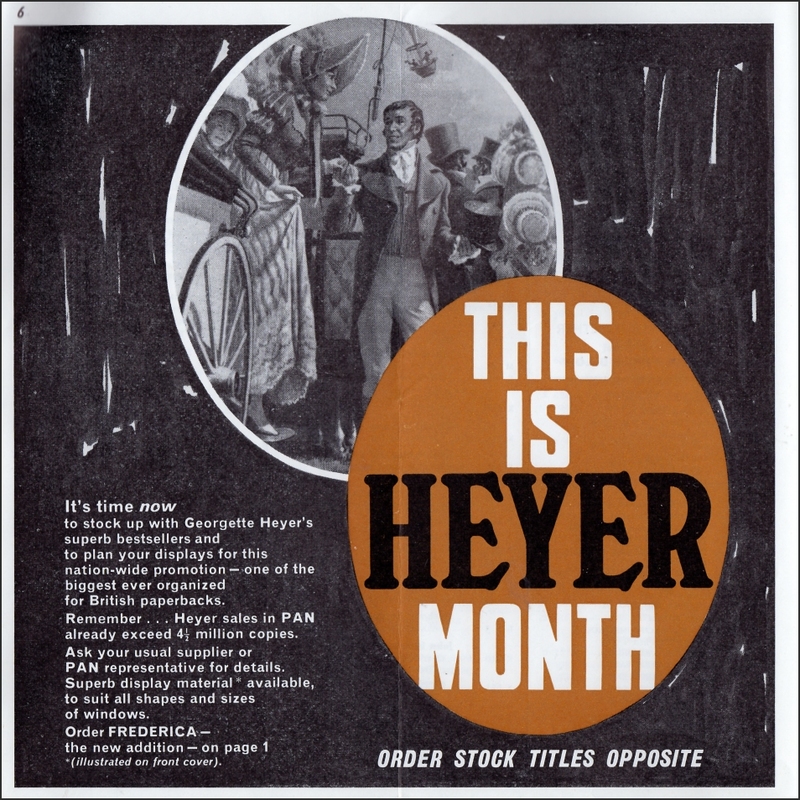 I’m including scans of them below. 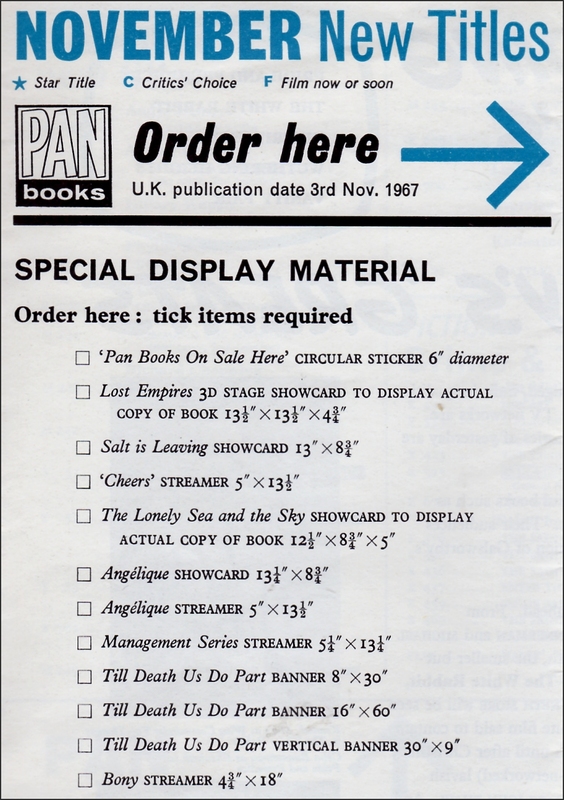 The first one is from December 1966 and lists how many of each title had been sold up to that point. 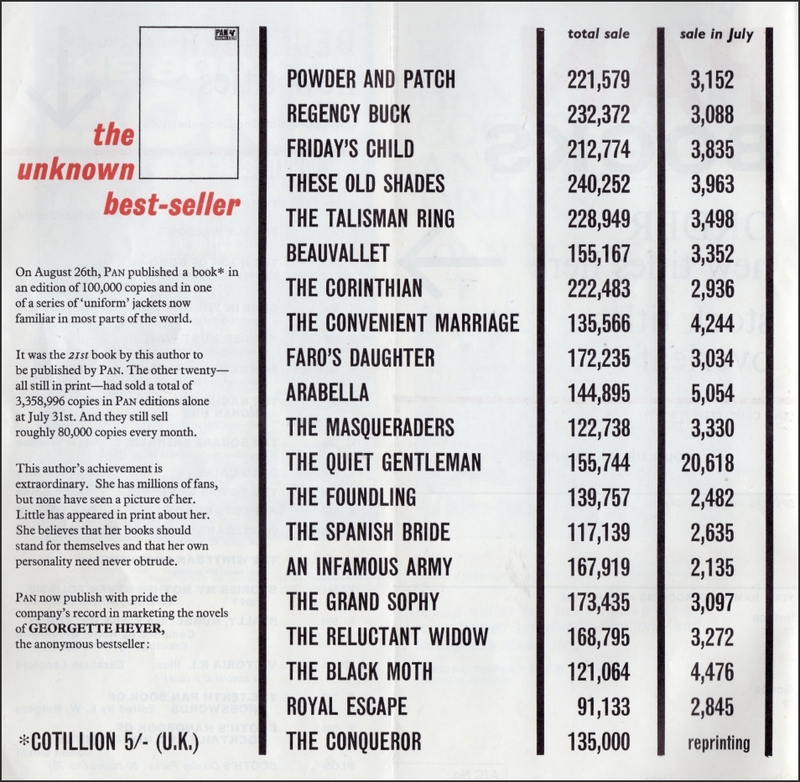 Next to where it says ‘the unknown best-seller’ there is a blank book cover and I’m trying to work out if this is clever or a mistake. 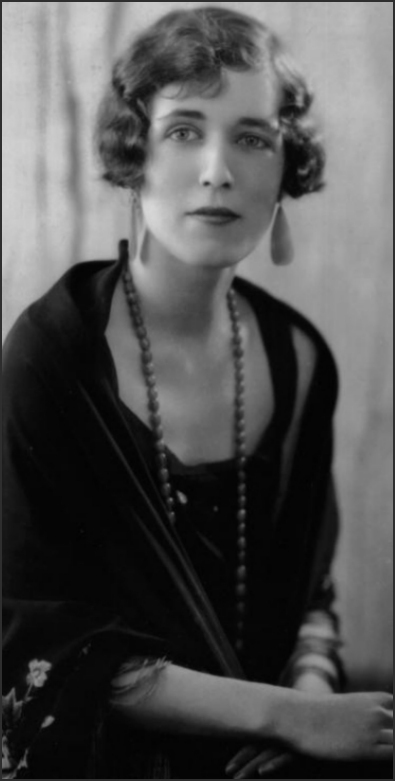 It is numbered M150 which was “Cotillion’ In the text it also says “She has millions of fans but none have seen a picture of her” which just shows how far we’ve come with technology as if you search now you get dozens. 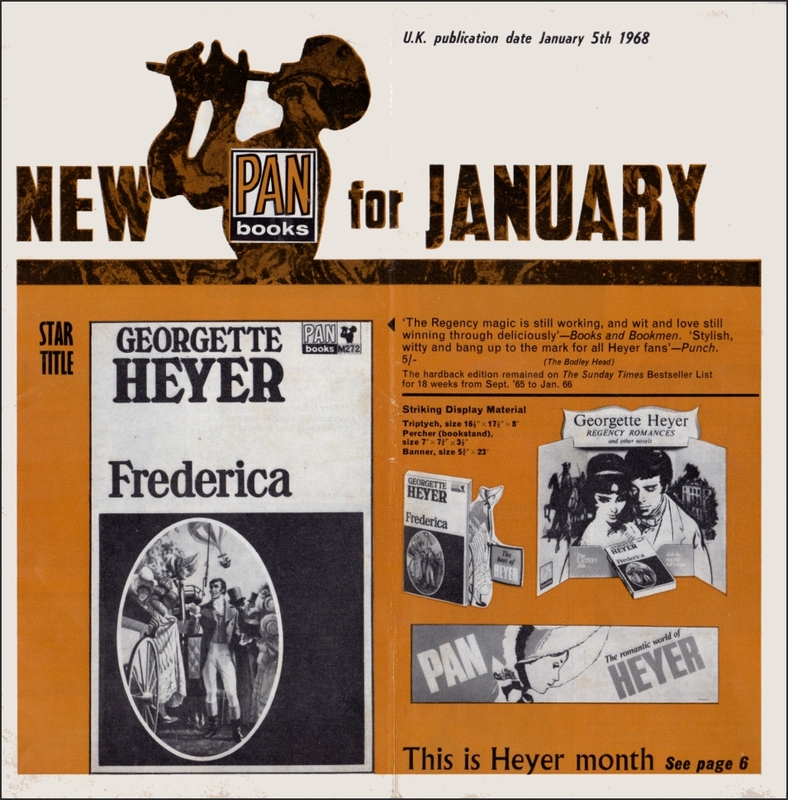 The second scan is from December 1967 and the third and fourth from January 1968. 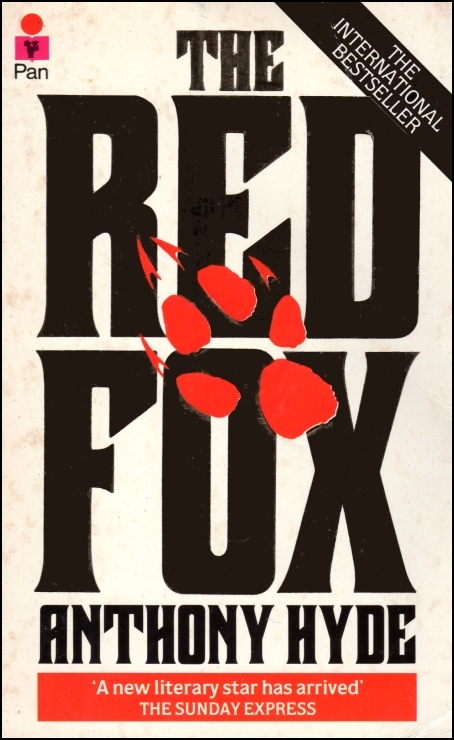 The title “The Red Fox” is in shiny gold lettering and no matter how hard I try my scanner still wants to give me black! 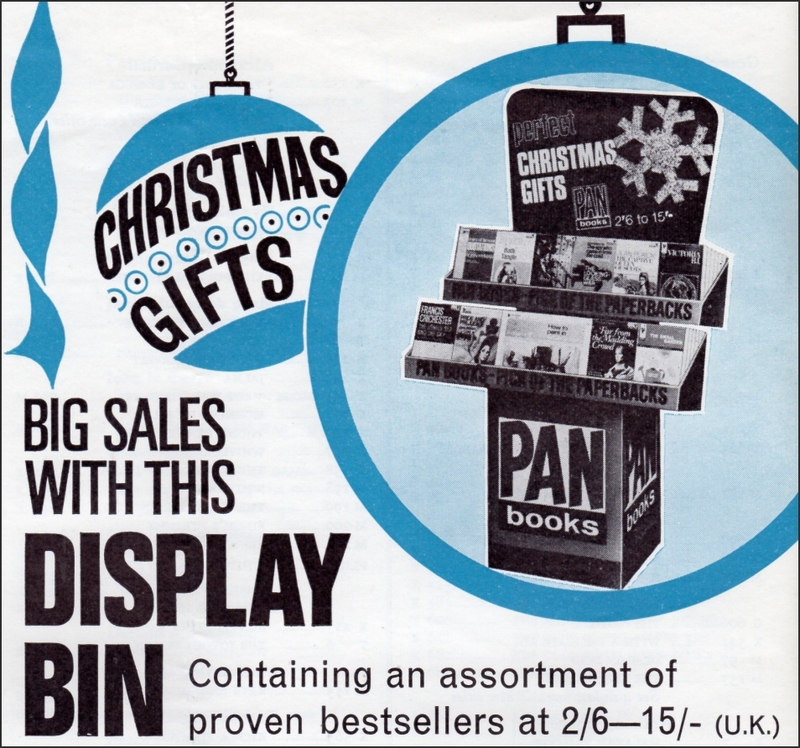 I ‘won’ four PAN catalogues on eBay a while ago (thanks for not bidding against me Jules) and now we are in November I’ve got around to looking at them. 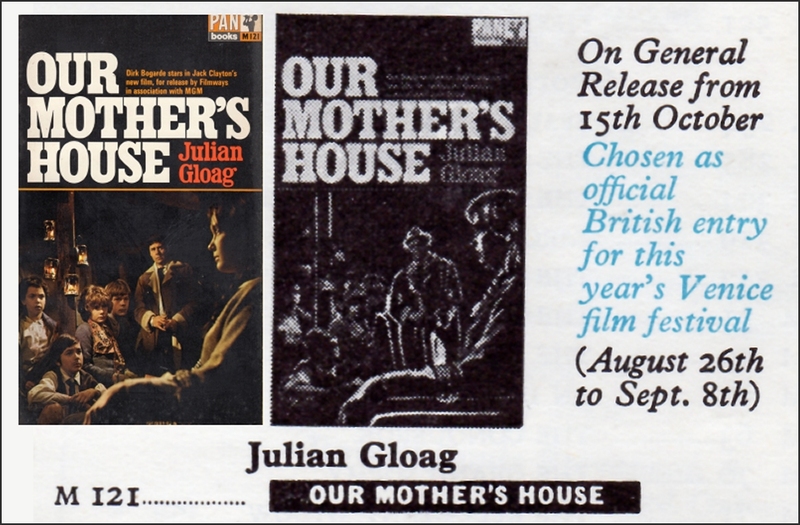 So if anyone out there has any of these bits and pieces they no longer need please let me know ( email tim@tikit.net ) as I find this material every bit as interesting as the books themselves and talking of books there was a ‘plug’ for the book “Our Mother’s House” reissued to tie in with the 1967 Venice Film Festival where it was British entry (It didn’t win, it was “Belle de Jour” also published by PAN) I’ve been trying to decide if the picture used in the catalogue was the same as the one actually used for the book cover. 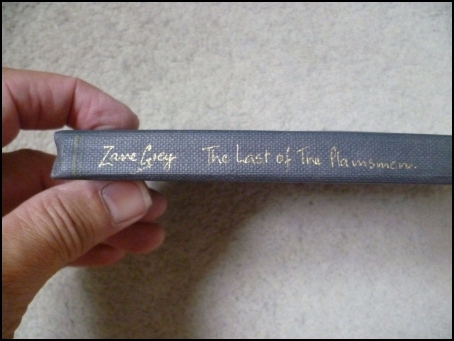 I’ve added a scan of the book to the catalogue entry and put them side by side.